This one has a simple sentiment that is ready for any occasion. I can stamp birthday or anniversary on the inside and I'm ready to roll for that time I forget and don't have a card ready. The card base measures 4-1/4" x 5-1/2". 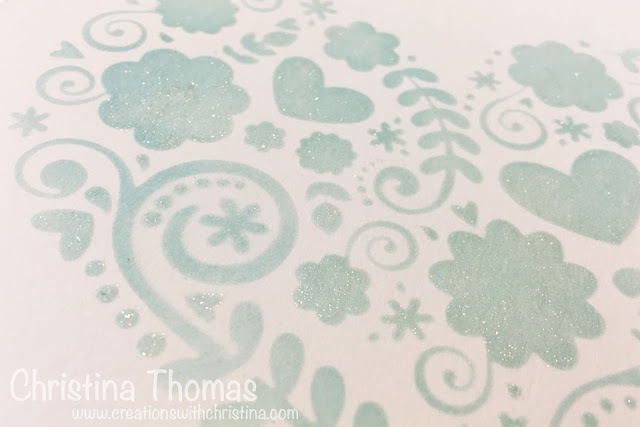 I used a Floral Heart stencil by Echo Park and inked it with Tumbled Glass Distress Ink. To make it shimmer a little I added a little bit of Clear Wink of Stella to the hearts and flowers. 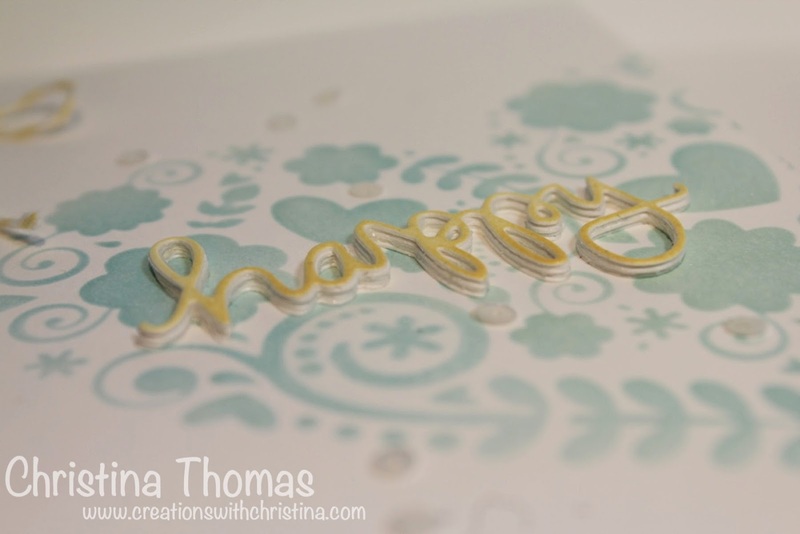 For the Happy sentiment I die cut white Neenah cardstock a few times and layered them together. The top layer I inked with Scattered Straw Distress Ink. I also added some Marshmellow Pretty Pink Posh sequins and some yellow bakers twine. 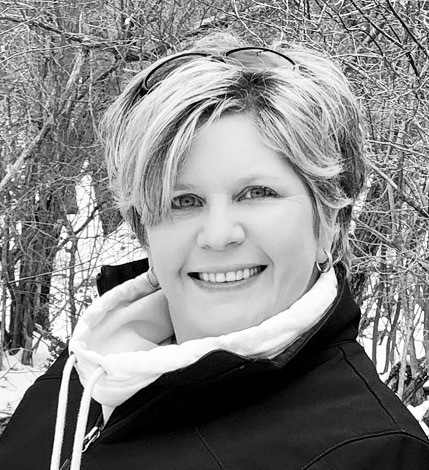 The winner of the Inkwell Press Planner is...Rhoda S. Rhoda has been emailed. This is very pretty Christina, a lovely job! Where did our Christina go? I love your videos. You have such an easy going way to teach. I could listen to you all day! Hope all is well with you and that you can get a chance to show off some of your great talent.